After four months “on the beach,” per his LinkedIn profile, Uber’s former global head of business and corporate development has a new gig. Lime has hired David Richter (pictured) as its first-ever chief business officer and interim chief financial officer. Based in San Francisco, Richter will be overseeing the bike- and e-scooter-sharing startup’s business operations. Richter spent more than four years at Uber leading the ride-hailing giant’s global business development, corporate development, experiential marketing, autonomous vehicle alliances and brand relevance teams. He left in May after expressing frustrations with a series of departures in his group, according to The Information. Lime is said to be completing the fundraising circuit right now, asking investors for a valuation north of $3 billion. The company, which entered the unicorn club in June, has raised a total of $467 million to date from GV, Andreessen Horowitz, IVP, Section 32, GGV Capital and more. The company is using the buckets of capital to expand beyond bikes and scooters. Last Monday, rumors emerged that it was planning a brick-and-mortar push. The company confirmed that it would indeed build scooter “lifestyle stores” in major U.S. and international markets, starting with Santa Monica, Calif. The next day on stage at the JD Power Automotive Roundtable, Lime announced its official foray into car-sharing. The company has since applied for a car-sharing permit in Seattle and plans to rent out small electric vehicles, which it’s calling “transit pods,” by the end of the year. According to Axios, Lime plans to spend $50 million on the pods, which will cost $1 for consumers to start, plus an additional 40 cents per minute. 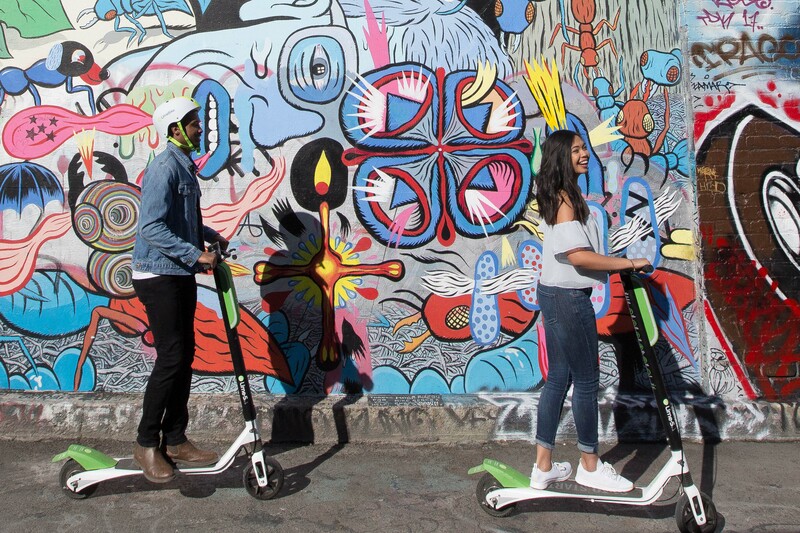 Lime launched in 2017 and has since recorded 11.5 million scooter and bike rides.